For more than 25 years, Tim has been creating digital communications and embedded software for the aerospace and defense industries. In the early years of his career, he witnessed firsthand the challenges large companies face when they need external program support: difficulty finding talent with the right expertise, distributed team communication, schedule misalignment, project cost overruns and more. He also recognized an opportunity to change the rules of engagement and set the standard for on-time, on-budget performance and true partnership in engineering services. In 1998, he founded Performance Software to do just that and the company has been helping clients find a better way to program success ever since. 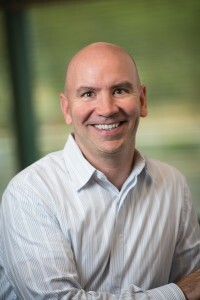 Tim served as CEO of Performance for 15 years. Under his guidance, the company expanded into five major market segments in aerospace, growing to $30M in total sales. In 2014, Tim transitioned to the position of Chairman of Performance Software Corporation. He remains active in the aerospace and defense industry.